Much later, a historical review disclosed how flammable propellants played a role in the foundation of our industry. The first self-pressurized dispenser is attributed to J. Savare (1837), who used CO2 to produced spritzers as an adjunct to beverage consumption. Next came J.D. Lydel (1862) with fragrance sprays, complemented by Helbing & Perzlich (1889) who used dimethyl ether. C.L. Gebauer (1901) patented flammable ethyl chloride in 4oz. glass tubes to dispense skin chilling sprays for topical surgeries. Still later, Eric Rotheim of Oslo, Norway published U.S. Patents 1,800,156 (1931) and 1,892,750 (1933) describing heavy-duty containers of insecticides, ski-waxes and other products, pressurized with vinyl chloride monomer (VCM), dimethylether (DME), butane and CO2. The first three propellants were quite flammable. Since Rotheim did his laboratory work in his home basement, fairly close to a coal-fired house furnace, he must have been very careful to avoid possible gas-air explosions. He marketed at least 6,000 of his pressurized dispensers, asking customers to return the costly cans for refilling. Most did not. He and his partner dissolved their small business and Rotheim died a short while later, unaware of his future international appreciation as the “Father of the Aerosol Industry.” His work was continued by C.R. Iddings, U.S. Patent 2,070,167 (1937) and several other inventors. The first non-flammable chlorofluorocarbon gas (CFC-12) made its debut in 1933. DuPont had developed its Freon-12 (CCl2F2) as a coolant for automobile air-conditioners. Related compounds, such as Freon-11 (CCl3F) and Freon-114 (mostly CClF2–CClF2) were introduced a short time later. By 1941, the Second World War was at its height. U.S. Marines were in the South Pacific fighting the Japanese entrenched in Guadalcanal and other islands. They had two enemies: the Japanese and hordes of biting mosquitoes. When army commanders made Congress well aware of the insect problem, Dr. Lyle D. Goodhue (an entomologist) and Captain William N. Sullivan, P.E. (an engineer) at the U.S. Dept. of Agriculture (USDA) “Bug Lab” in Beltsville, MD were tasked with finding a solution. Goodhue was aware of Rotheim’s work a decade earlier. He coupled it with the development of Freon-12 and the result was the highly successful “Bug Bomb.” As an added bonus, enterprising Marines found that the quickly evaporating spray could chill a warm can of beer, making the beverage much more enjoyable. In 1941, Goodhue and Sullivan applied for a public service patent, which was granted in 1943—currently giving the U.S. Environmental Protection Agency (EPA) administrative control over insecticides, disinfectants, rodenticides and related products. Beginning with the introduction of “lightweight” aerosol cans, the fledgling U.S aerosol industry “followed the yellow brick road” from 1947 to 1953, expanding at up to 50% in some years and always using non-flammable propellants. By this time, shaving creams evolved into a major aerosol product, with 1953 sales reported to be 27.5 million units. The formulas typically included about 9% CFC-12 or 10% CFC-12 (60%)/CFC-114 (40%). In that year, Carter Products Inc. applied for what became known as the “Spitzer Patent” in the U.S., UK and perhaps elsewhere. The protected formulas contained 5% to 30% detergents, such as sodium, potassium and amine soaps. When its patent was granted, the company had the option of allowing selected other marketers to continue selling aerosol shave creams, provided they paid royalties. One marketer antagonized Carter by asserting that the patent was invalid. A court was appointed for litigation. After some lengthy deliberations, the judge decided in favor of Carter, upholding its patent. Interestingly, the term “several” was defined as representing 3–7 and a “fatty acid” was defined as limited to lauric, myristic, palmitic and stearic acids. However, more importantly, Carter’s competitors rather quickly circumvented the patent by converting from CFC propellants to about 4.0% of an iso-butane/propane mixture—typically known later as A-46, a terminology developed by the Phillips Petroleum Co. around 1958. This conversion was a major event. It placed hydrocarbon propellants firmly into play, despite their flammability. Shave cream fillers had to take unprecedented measures to preserve life and property assets. However, the cost of propellants for shave creams usually decreased by over 90%, which was partly offset by these protective capital expenditures. Production equipment suppliers were quick to convert motors, gassers and other equipment into well-grounded explosion-proof versions. Initially, the hydrocarbon odor was a minor problem if these propellants came from clean gas wells where impurities such as unsaturates and hydrogen sulphide (H2S) were very low. Better distillation was required for pressure reproducibility. In 1956, one source of “butane” sold products with pressures ranging from about 17 to 32 psi-g. (70°F) (a similar “butane” range was then prevalent in the UK, as reported by Herzka). These quality difficulties were soon corrected. While the quality difficulties were corrected, the flammability issue remained. A number of firms were negatively impacted by the introduction (and potential) of hydrocarbon propellants. For example, firms in Brooklyn, NY and Chicago, IL were not permitted to use hydrocarbon propellants by local ordinances. In one instance, a “pro-CFC group” contacted the Chief of the City of New York Fire Dept., arguing that the storage of “highly flammable” aerosol shave creams in New York loft warehouses could pose a potentially disastrous fire hazard. Upon learning of this, another industry group from the Chemical Specialties Manufacturers Association (CSMA, now the Household & Commercial Products Association), known as the “the CSMA contingent,” contacted the Chief offering contradictory information. Ultimately it was decided that the two factions would provide demonstrations to the Fire Dept. 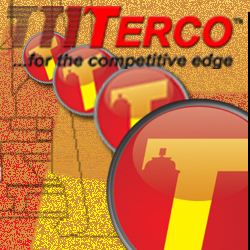 A Precision Valve aerosol valve warehouse in Yonkers, NY was selected as the testing site. On the designated day around 40 people gathered. The Yonkers Fire Dept. trucks were drawn up outside. Perhaps 15 fire department officials were present for the demonstrations. The “pro-CFC group” had engaged fire experts at Brown University to conduct the tests. Testing began when a punch perforated the valve cup of an unshaken 12-ounce can of shave cream. The hydrocarbon propellant rushed out and was ignited by a small flame. The yellow fire plume was fairly large and persistent. The test was repeated using a CFC shave cream. There was no flame. The next test was a “nefarious” version of the CSMA Closed Drum Flammability Test. In the standard procedure, a 55-gallon (204 liter) steel drum is laid sideways, fitted with a lit candle, and the open end covered with a sheet of polyethylene film containing a pressure relieving slit. The test aerosol is sprayed into the drum from a small opening. If the lower explosive limit (LEL) is reached, there is a gentle “whoosh” sound and a moderately-sized flame is emitted through the slit and melted film barrier. Roughly 8.5 grams of hydrocarbon (as A-46) is required to reach the LEL concentration. The Brown University engineer modified the test by replacing the candle with a 20,000 volt sparking device. With the machine turned off, he sprayed the stoichiometric amount of hydrocarbon propellant into the drum. This is the exact amount to combust all the available oxygen in the drum, converting all the hydrocarbon and oxygen molecules into CO2, water vapor and heat. The polyethylene barrier was extra thick and unslitted. When the sparking unit was turned on, combustion was immediate. The drum fell off its support framework. The plastic film held the internal pressure for a moment, then burst, releasing a fire cloud that nearly reached the ceiling of the warehouse. Fortunately, the momentary burst of heat was not sufficient to set off the sprinkler system. When order was restored the test was repeated with a can of CFC propellant. There was no ignition. The engineer then used the industry Flame Propagation Test to demonstrate hydrocarbon flammability, but in this case using pure hydrocarbon propellant and a high delivery rate valve. The flame plume was quite large. Satisfied that they had suitably impressed the fire department officials with the results of their bizarre test results, the “pro-CFC” group yielded the floor to the CSMA contingent. A few foam tests were shown, demonstrating the quenching effect of the 85+% of water on about 4% A-46. By touching a match to the spread out foam, there was either no effect or a momentary, tiny, almost unnoticeable flame halo. Perhaps the most persuasive testimony came when CSMA lawyers stitched together the two pro-CFC flammability tests, asserting that they were totally unrelated to aerosol shave creams and merely designed to demonstrate that pure hydrocarbons were flammable. The contrived test conditions were totally unrealistic and meant to impress, rather than educate, an audience. Several days later, the New York Fire Dept. issued a rule-making memorandum permitting aerosol shave creams to be stored in the city without restrictions (the nature of the propellants was not mentioned). Hydrocarbon propellants gained marketing momentum when Walter Beards, Jr. (Risdon Mfg.) developed the first mechanical break-up (MBU) valve actuator in 1954. This made Bon Ami Window Cleaner possible in aerosol form. About 4% of iso-butane floated on top of the water-based product, pressurizing it and allowing it to be dispensed effortlessly as a coarse spray (the CFC propellants, which sank in water-based solutions, could not be used since they would be quickly dispensed through the dip tube). In succeeding years, numerous water-based cleaners, starches and similar products used this technology. Before the filler could demonstrate the product samples, the fact that they contained a hydrocarbon propellant was mentioned. Shaking his head, the marketer’s R&D Director invited his guests to a basement area where a large black cylinder of Matheson iso-butane was chained to a post. “Just smell this stuff!” he directed. The odor was repulsive, due to either natural impurities or deliberate adulteration with ethyl mercaptan (C2H5SH). When the filler group stated that its hydrocarbon was an almost odorless “Aerosol Grade” product, supplied by the Phillips Petroleum Co., the R&D Director evaluated the samples. He was apparently impressed, because the company marketed a line of similar hydrocarbon-based air fresheners about a year later. Soon, almost the entire aerosol air freshener industry had converted to the lower-cost hydrocarbon formulas. At almost the same time, new formulas were adapted to flying insect sprays. Despite their 30–35% flammable ingredient content, the products were not “flammable,” according standard flammability tests. 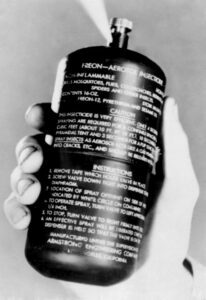 The conversion of the aerosol industry from non-flammable to flammable propellants was challenging, costly and painful. Even in these enlightened times filling plants have burned in various parts of the world, including Asia, Europe and North and South America. Over the years, dozens of people in the aerosol industry worldwide have been burned or paid the ultimate price.